Nidec Arisa uses those very words to describe the innovative project it has developed for Gestamp which will be installed in Bielefeld, Germany. The most outstanding features of the Nidec Arisa servo press are power that attains 45,000 kN of force, size – with more than nine metres of die surface, and control and power transmission via the servomotors. 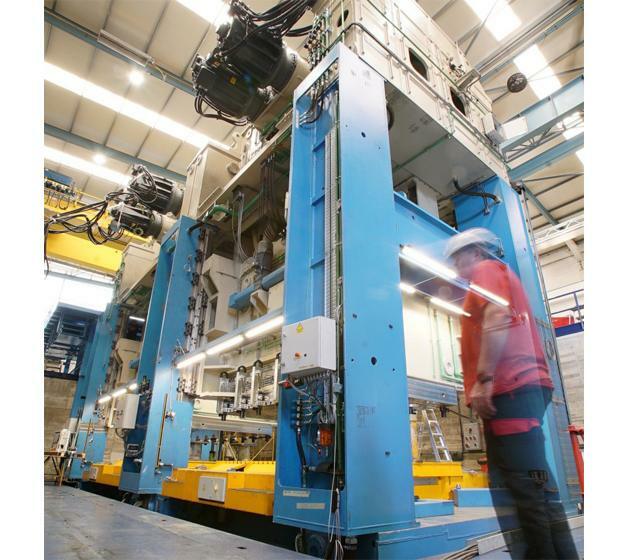 The press counts two carriages and three uprights able to level eccentric die loads, with die sizes sufficient for the wide range of present and future work, the Nidec Arisa company explains. The press should have a servo drive to obtain higher quality as well as a very high-performance production rate owing to its unique cutting-edge transfer process. The installation will be more than 37 metres long and 20 metres wide and stand nearly 10 metres above ground and 6 metres below ground. It weighs 1,350 tons, counts power of 9 MW from Torque engines and 7 MW from power storage engines. The company also specifies that the servo press will be fed by a format destacker with several load stations for machine operators’ convenience. A conveyor belt system will transport formats through a band lubricator programmable for different oils so it can work with those optimally suited for each job. The cutting-edge transfer system will safely transfer formats through successive die stations at a high rate, while the press carriages will move through the programmed profile curve to deform the material as required. Carriage movement programming will aim to obtain maximum quality piecework, the highest possible rate together with the transfer and the safest and most stable process in the die. All this offline programming will be done by means of Optiservo software developed by Nidec Arisa. The press also counts a Full Size Energy Management system which works via the compensation engines that store power and transfer it to the press as needed. It also has a totally automated die-change system, including reference changes in the destacker. Use of the installation’s production time will thereby be optimised along with that of the human resources who operate it. Just over a year ago the Spanish company Arisa took a giant step toward internationalisation by joining the Japanese Nidec group, changing its name to Nidec Arisa, and has since counted press manufacturing partners at global level. Thanks to strategic partners such as Nidec Minster in the United States and Nidec Kyori in Japan the group has enhanced its international presence in the press production sector.